ROTADAIRON TR170 Bedfinisher 1.7m Bedfinisher. 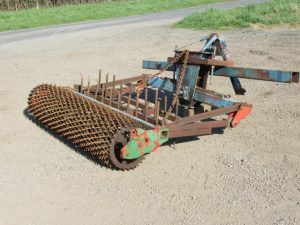 DUTCH Harrow with Packer Roller 1.8m harrow with packer roller; ideal for sand school/track. FRANQUET 4m Front Press 4m Front press with 2 rows of tines and 2 spiral rolls; vertical folds to 2.5m for transport. McCONNEL 3m Shakaerator 5 leg, 3m Shakaerator with good legs and points. TWIN Roller Bed Former 1.8m Twin roller bed former with ‘A’ frame linkage; ideal for levelling sand track. SKH 3m Crumbler Bedformer 3m Crumbler Bedformer; in remarkable condition, every tine still straight. KONGSKILDE 5.2m Hydraulic Folding Vibromaster 5.2m Hydraulic folding vibromaster with sprung levelling boards & double crumbler roller. 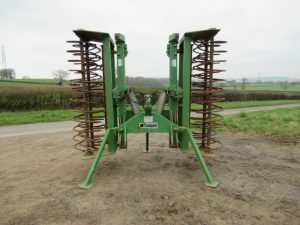 SIMBA 2B, 12ft Trailed Discs 12ft trailed discs with good scalloped discs front and back, rear drawbar and hydraulics; hydraulic folding for transport. 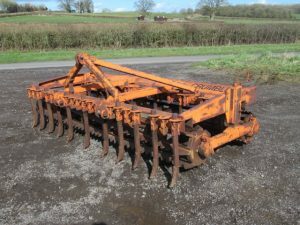 FERGUSON 5ft Springtine Cultivator 5ft Springtine cultivator. KVERNELAND LD85-240-8-HD 5 Furrow Plough 5 Furrow, manual vari-width plough. 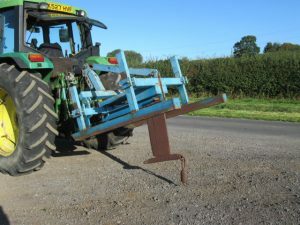 MOLE PLOUGH Single let Mole plough with 30” leg and adjustable skids. 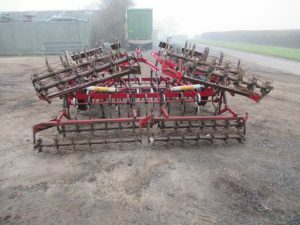 KONGSKILDE 5.5m Cultivator 5.5m hydraulic folding, springtine cultivator with levelling board & following harrow. FERGUSON 3 Row Ridger 3 Row ridger. 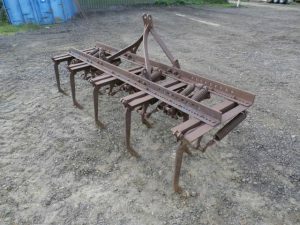 RANSOME 8 Leg Spring Tine Cultivator 8 leg, spring tine cultivator. 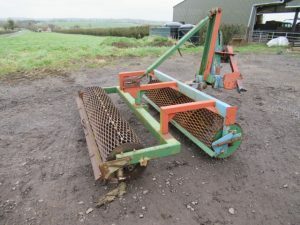 JOHNSON/RANSOME Potato Lifter Single row potato lifter.